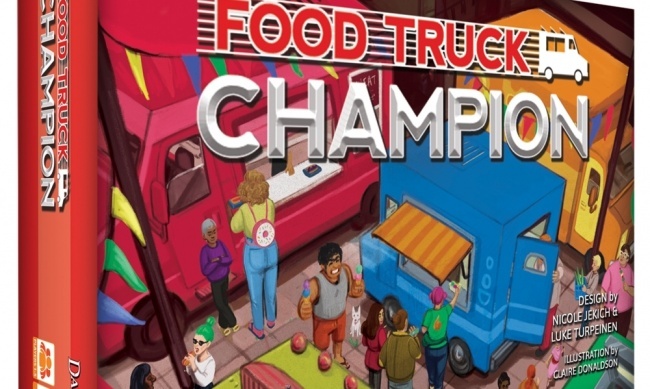 Daily Magic Games will release its new card game, Food Truck Champion, in February. 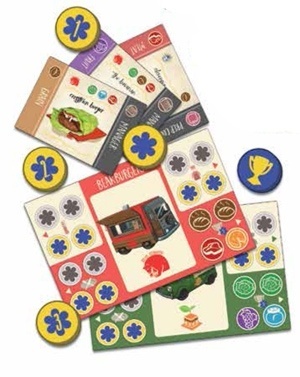 The game comes with 5 food truck boards, each with its own “wild” owner card, 101 game cards, 30 cardboard tokens, and an active player token shaped like a food truck. It was designed for 2 to 5 players, ages 8 and up, and takes about an hour. MSRP is $25.00. 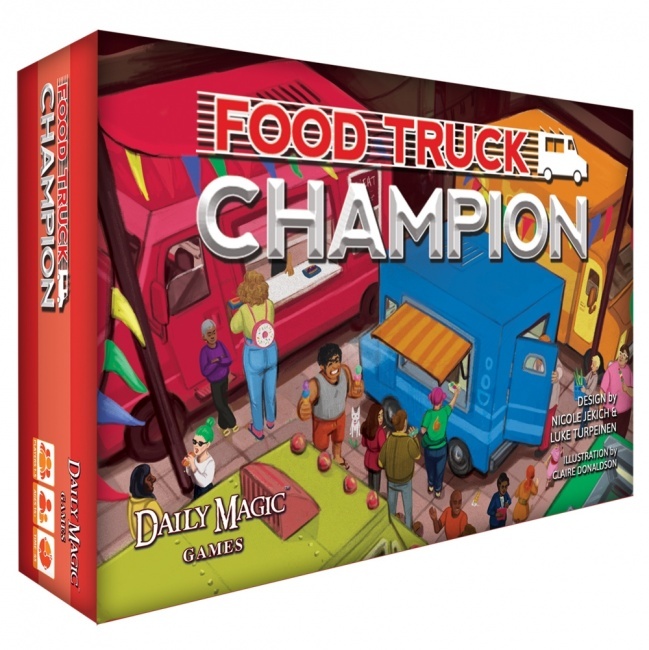 Food Truck Champion is the first design from the studio of WhiskyGinger, launched by designers Nicole Jekich and Luke Turpeinen, whose experience includes development of other Daily Magic designs. 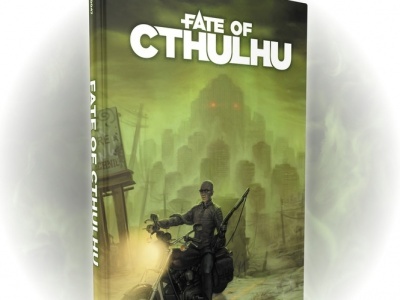 The game was funded through a Kickstarter last year that attracted $51,010 in pledged support from 1,687 backers (an average of $30.24 per backer). Daily Magic has also announced plans to release an Egyptian-themed Euro-style game (see “‘Sailing Toward Osiris’”) and a sci-fi “4X” style game (see “Daily Magic Reveals ‘Horizons’ Details”) this year.